These two were on the front walkway. This one on the papaya tree just outside the kitchen window. 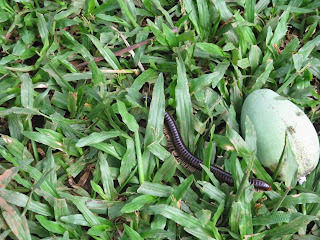 We have seen many, many of these in the yard and in and around the various plants in our yard, and have seen the slime that they leave in their wake on our front walkway. 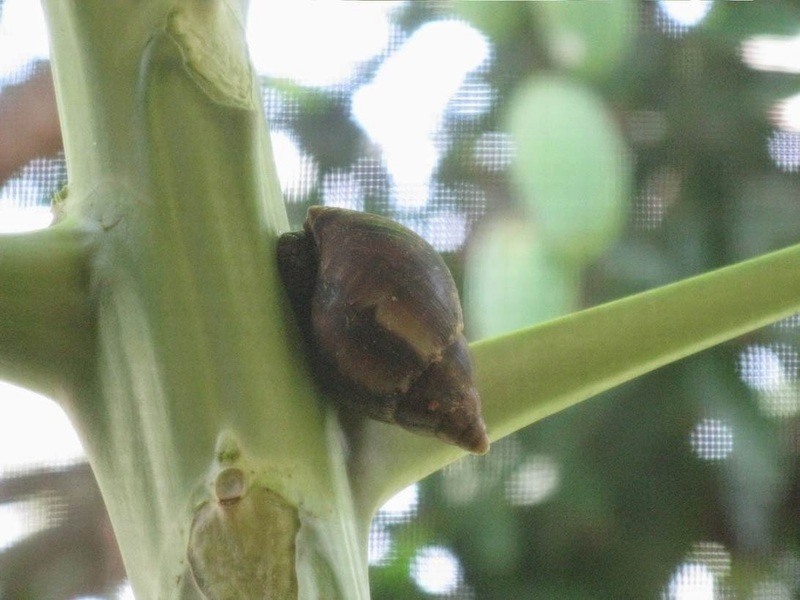 According to Wikipedia, they are actually "considered to represent a potentially serious threat as a pest, an invasive species which could negatively affect agriculture, natural ecosystems, human health or commerce." 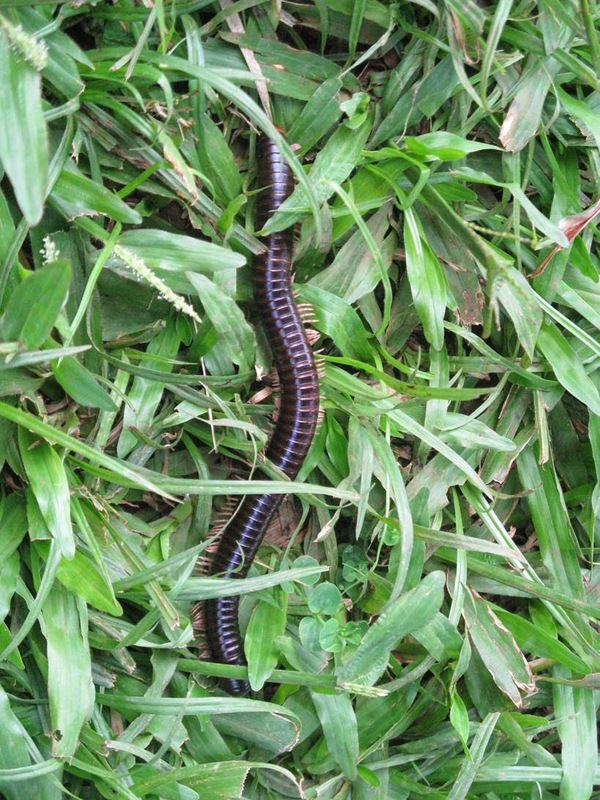 Great, and I have them all over my yard. Sigh. 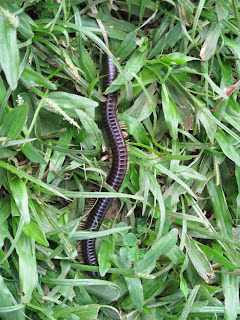 And this is the African Giant Millipede. 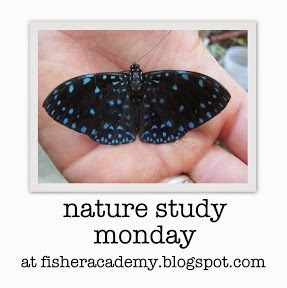 Click Here to read more fascinating nature study posts from all around the world! I always love getting a peek at your wildlife there, Jen. And those nails! 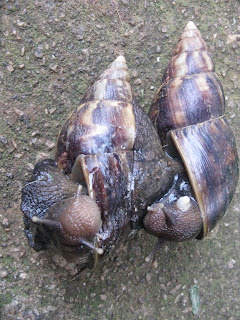 The shells remind me of some of the sea snails we have here.